Grease a plate with unsalted butter. Set aside. In 4-quart nonstick saucepan, heat sweetened condensed milk and 1 tablespoon unsalted butter to boiling, stirring constantly with wooden spoon. Reduce heat to medium-low and continue to cook, stirring constantly, 10 to 15 minutes or until thick and shiny and starts to pull away from bottom and sides of pan. 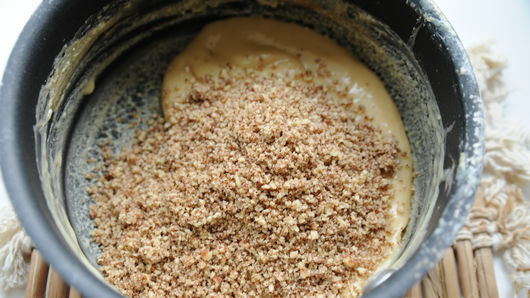 You will know mixture is ready when you tilt pan and mixture slides down easily. Stir in pecans. Transfer mixture to greased plate. Cool completely. Line cookie sheet with cooking parchment or waxed paper. Grease hands with unsalted butter. Shape mixture into teaspoon-size balls. Place on cookie sheet. Place cookie sheet in refrigerator 30 minutes or in freezer 15 minutes. Meanwhile, use double boiler or microwave to melt white chocolate. 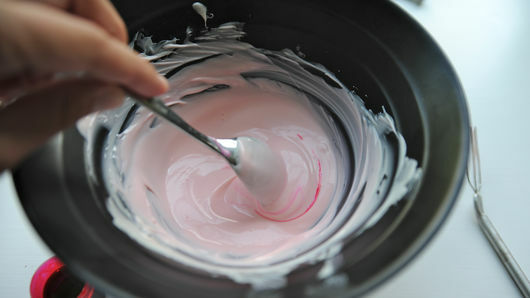 Add pink candy color, one very small drop at a time, stirring until you get the desired shade of pink. Use dipping fork to drop truffles one at a time into melted chocolate. Coat well with chocolate and then remove using dipping fork. Tap fork a few times against bowl to remove excess chocolate. 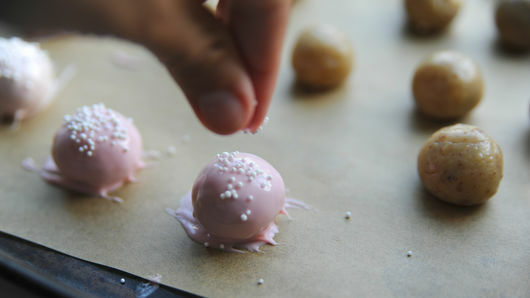 Place back on cookie sheet; top with white nonpareils. Refrigerate until chocolate is set. Serve slightly cold or at room temperature. 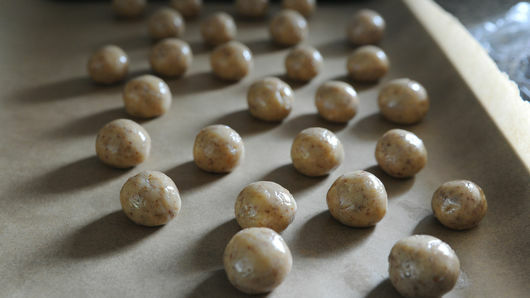 Cover and refrigerate any remaining truffles, using within 3 to 5 days. You may substitute any of your favorite nuts for the pecans. 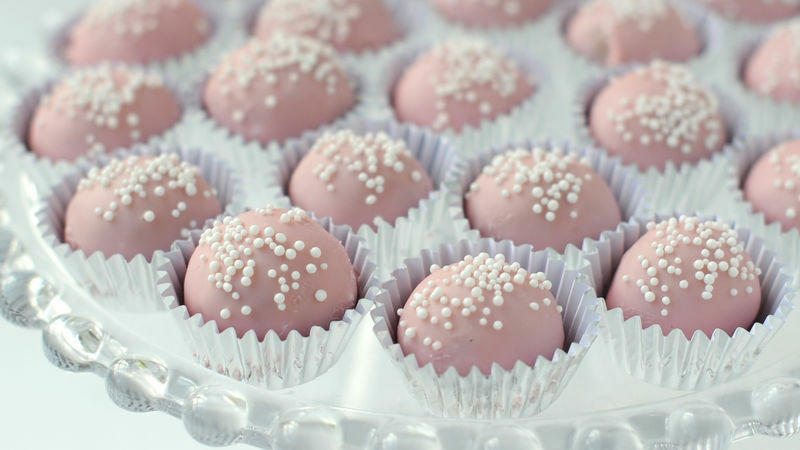 These truffles are also delicious dipped in dark chocolate.